The Reverse Osmosis Drinking Water Process - Pros and Cons - Nowthen Plumbing, Inc. The reverse osmosis process uses a semi-permeable membrane containing tiny pores through which pressurized water is forced. The small pores of this membrane restrict organic compounds such as salt and other natural minerals, in addition to bacteria and disease-causing pathogens. -Reverse osmosis is incredibly effective at removing salt from water. -It is especially effective at providing mineral-free water, required for use in photo or print shops. -It is also effective at providing pathogen-free water and will remove select contaminants, depending on the size of the contaminant particle. -Though the small pores in the membrane block larger particles like salt, dangerous chemicals like pesticides, herbicides, and chlorine that are molecularly smaller than water can freely pass through the porous membrane. (To provide safe drinking water, a carbon filter must be used as a complimentary measure). -In regards to drinking water, the removal of healthy, naturally occurring minerals in water is not ideal. These minerals often add good taste to water, and also are vital and healthy for the human body’s system. -Reverse osmosis wastes a large portion of the water it processes — generally two to three gallons of water for every gallon of purified water produced. Reverse osmosis is also a slower water treatment process. Is reverse osmosis a good water treatment option for you? 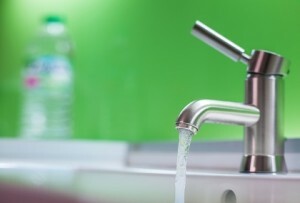 Have more questions about what water purification system might be right for your home? Contact us at Nowthen Plumbing for insight and assistance! Serving Anoka, Blaine, Champlin, Andover, Elk River, Maple Grove, Brooklyn Park, Brooklyn Center, and surrounding MN communities!